This is a tour through the cultural heritage in Odda town centre. On this tour we emphasize architecture and town development. You can book the guided tour at Kraftmuseet museum in Tyssedal. Odda is the town in the county of Hordaland with the most urban touch - besides Bergen. Odda has character, and the architecture from the beginning of the 20th century has qualities equal to Oslo and Bergen - according to experts. On our tour we will show you buildings and cultural heritage in the center of Odda. We start at the port buildings of the old melting factory, continue through the streets Folgefonngata and Skulegata, down the stairs Skuletrappa to the old houses in Brotateigen, to the marketplace Torget going to the park with the bronze horse and further southwards on the pedestrian street Gågata and back to the factory. 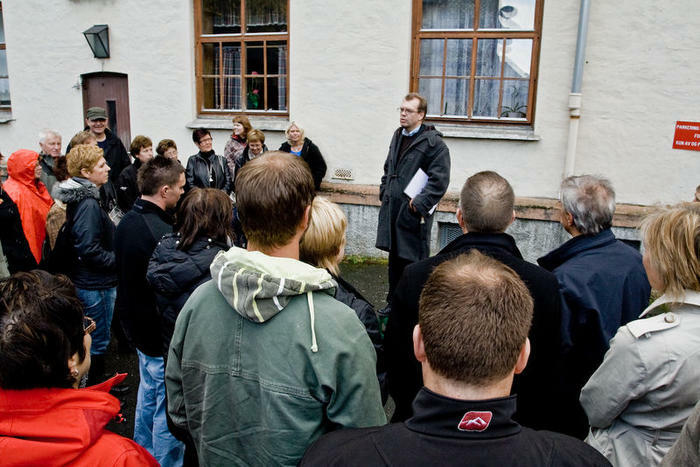 The famous Odda-writer Frode Grytten makes a similar tour through the town during the annual literature symposium. 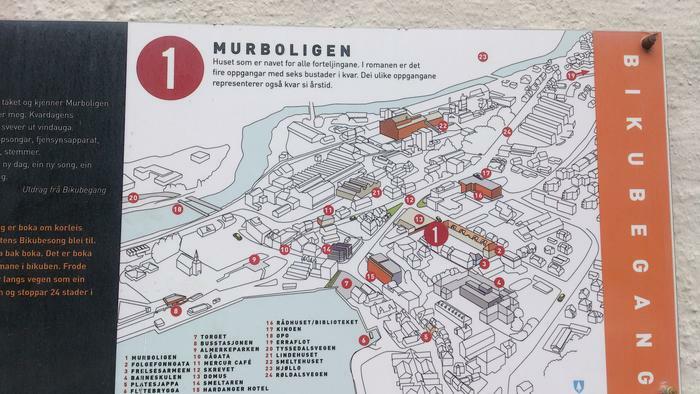 You can see 24 signs on houses or places in Odda where he makes his literary stops. In the town of Odda in Norway, a middle-aged Morrissey fan has a matter of hours to find a girlfriend so his ailing mother can die in peace.